When you hold the phone to your ear while on a call, the phone temporarily shuts off the screen (saving power) and locks it (so you can’t accidentally “tap” on the screen). I wasn’t convinced by the on-screen keyboard at first. But actually it’s possible to type quickly and accurately on it thanks to the predictive word input. You just have to trust it and let it do its thing! A nice touch: you can double-tap the spacebar to quickly add a full-stop (period for my American readers) followed by a space. Conveniently, the keyboard layout changes depending on exactly what you’re doing. When entering a URL, you get extra “.”, “/”, and “.com” buttons instead of the redundant spacebar; for email address fields, you get “@” and “.” buttons, and so on. This really exploits the idea of a soft keyboard to its fullest. OpenOffice.org 3 released: Native Aqua at last! Speed. The new version has a much quicker startup time than 2.x, with the welcome screen appearing around 4 seconds after launching (on my 1st gen Intel iMac). The UI feels a fair bit snappier, and document opening and saving seem a little faster. Support for the latest MS Office formats. 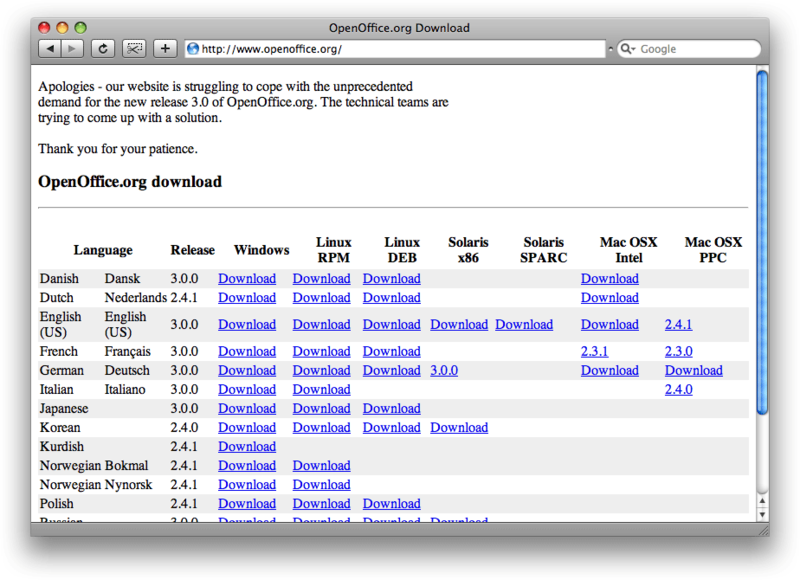 OpenOffice.org 3 can read the controversial Office Open XML (.docx/.xlsx/.pptx) formats – although it can’t yet save files in these formats. Easier app launching. The new UI features a nice welcome screen (see below) that you can use to quickly launch Writer, Calc, Impress, Base, Draw, or Math. Better Vista compatibility. Always good if you happen to use Vista! iTunes movie rentals: Are they worth it? This is probably old news if you’re Stateside (or Europe-side, for that matter), but recently Apple launched iTunes Store movie rentals over here in Australia. I thought I’d give it a spin. Now, generally I don’t touch DRM-encumbered content – if I buy something, I should be able to do what I like with it, right? – but I figured that movie rentals are a different ball game. Obviously, without some sort of DRM, the concept of renting a movie online wouldn’t work. So, fair enough I guess. 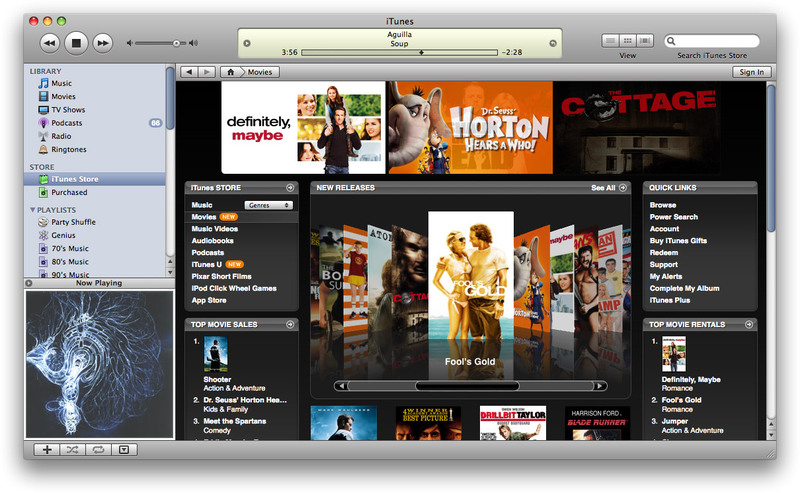 And the movies on the iTunes Store are only AUD $3.99 to rent, which ain’t too bad. You are currently browsing the Reality Distortion: Macs, Mac OS X, and Apple stuff weblog archives for October, 2008.